Tayfun is an finance expert and ex co-founder of $500M e-commerce company; he enjoys startup oriented work accross finance and strategy. In this article, I explore in more detail what these pricing strategies are and how they can benefit your business from a financial analysis and management standpoint. The change from locally hosted software to SaaS has been happening for some time, and is part of a more general shift in the IT industry to cloud-based applications. According to FTI Consulting, 69% of businesses today use at least one cloud-based application. 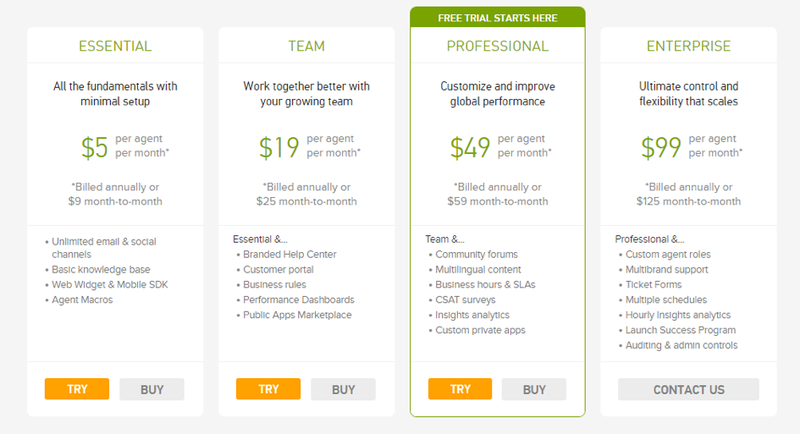 Zendesk unfortunately doesn’t disclose the specific effects that its pricing changes have had. 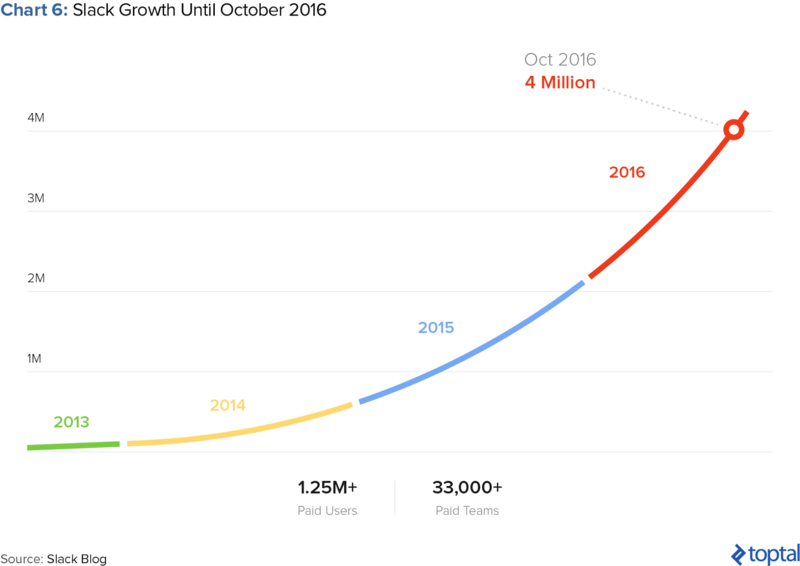 Nevertheless, the more general point that flexibility is useful is summarized nicely in this post: “Finding the right balance between value and revenue - your ability to help customers and be fairly compensated for that help - will make or break your […] company.” No doubt Zendesk’s changes are a reflection of this point. […] shoppers at an upscale food market saw a display table with 24 varieties of gourmet jam. Those who sampled the spreads received a coupon for $1 off any jam. On another day, shoppers saw a similar table, except that only six varieties of the jam were on display. The large display attracted more interest than the small one. But when the time came to purchase, people who saw the large display were one-tenth as likely to buy as people who saw the small display. It’s very difficult to switch SaaS vendors once they’re embedded into business workflow. SaaS customers, by definition, made the decision to have an outside vendor manage the application. In the perpetual license model, in-house IT staff managed all software instances and thus could incur the internal costs to switch vendors if they so chose. In the traditional software world, companies like Oracle and SAP do most of their business by selling a ‘perpetual’ license to their software and then later selling upgrades. 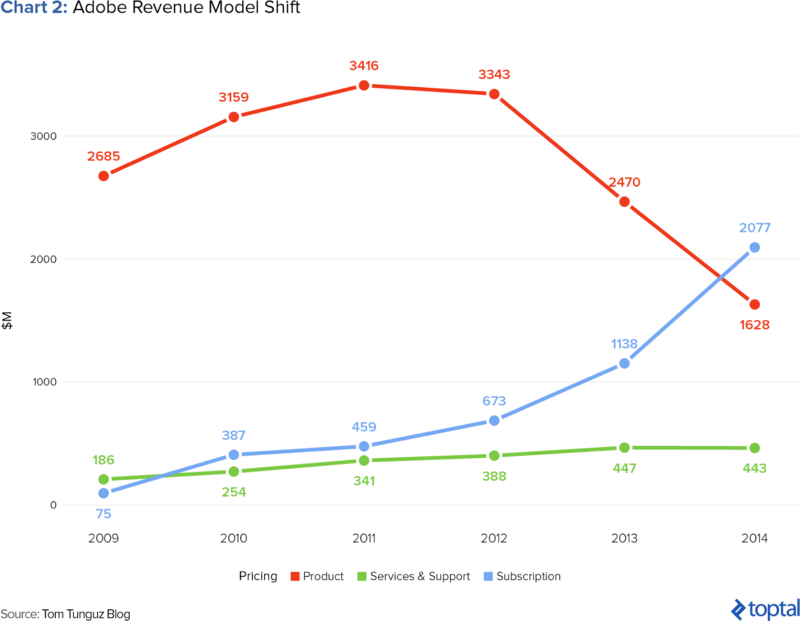 In this model, customers pay for the software license up front and then typically pay a recurring annual maintenance fee (about 15-20% of the original license fee). Those of us who came from this world would call this transaction a cashectomy: The customer asks how much the software costs and the salesperson then asks the customer how much budget they have; miraculously, the cost equals the budget and, voilà, the cashectomy operation is complete. 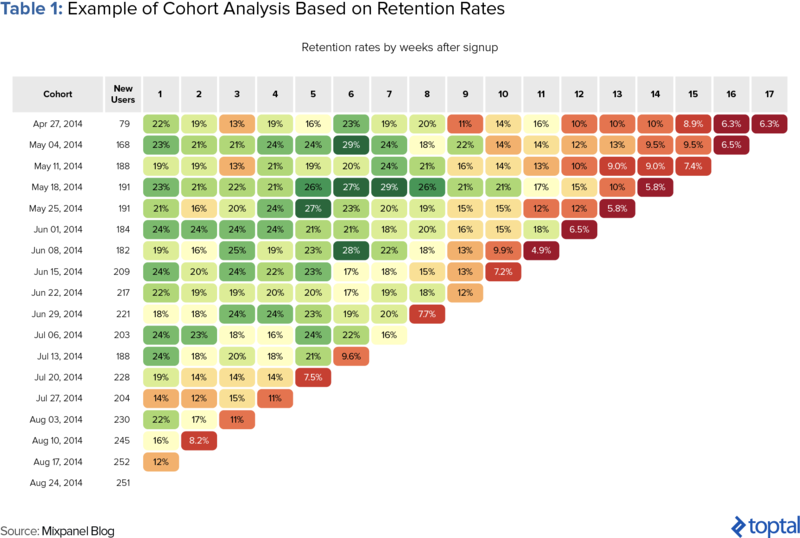 Now compare that to what happens with SaaS. Instead of purchasing a perpetual license to the software, the customer is signing up to use the software on an ongoing basis, via a service-based model — hence the term software as a service. Even though a customer typically signs a contract for 12-24 months, the company does not get to recognize those 12-24 months of fees as revenue up front. Rather, the accounting rules require that the company recognize revenue as the software service is delivered (so for a 12-month contract, revenue is recognized each month at 1/12 of the total contract value). 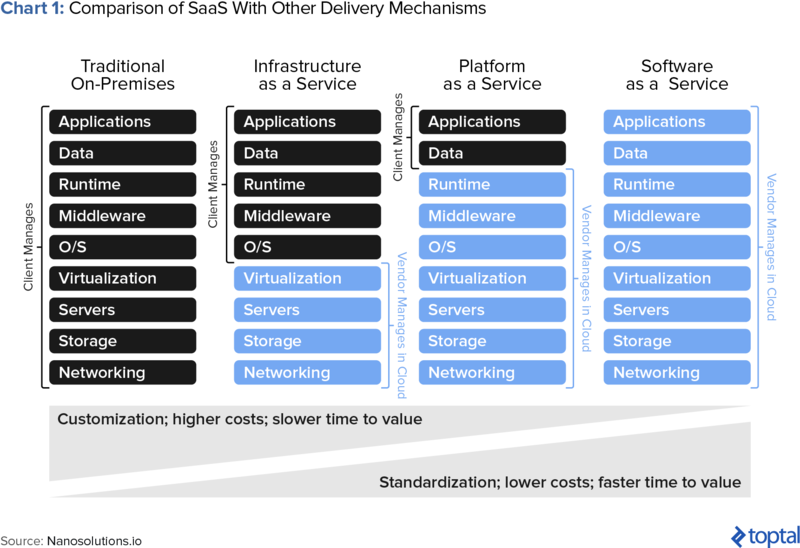 Because SEMs deploy SaaS to both the supply side and the demand side, these companies can develop an exceptional understanding of their market. Access to supplier data and consumer demand provides four key advantages to SEMs. Fourth, because of the visibility into supply/demand, a deep understanding of supplier excellence, and the ability to identify the right types of buyers and sellers, SEMs benefit from a more efficient go to market. While the exact effect of this pricing is impossible to know, a quick look at Atlassian’s annual report (page 44 and 49) shows that subscriber revenue increased by 1200% ($12.24 million in 2014 to $146.66 million in 2016) while its customer numbers increased 80% (37,250 in 2014 to 60,950 in 2016). 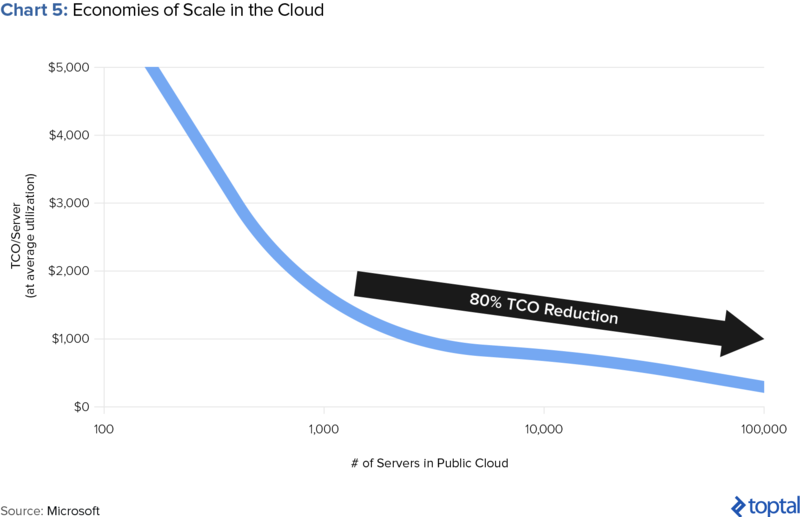 A simple math shows that if pricing stayed same, Atlassian’s revenues would be only $22 million due to an 80% increase in number of customers. In other words, thanks to changes in its pricing, Atlassian generates an additional $124 million ($146 million - $22 million) per year! Several factors contribute to the appeal of a freemium strategy. Because free features are a potent marketing tool, the model allows a new venture to scale up and attract a user base without expending resources on costly ad campaigns or a traditional sales force. The monthly subscription fees typically charged are proving to be a more sustainable source of revenue than the advertising model prevalent among online firms in the early 2000s. Social networks are powerful drivers: Many services offer incentives for referring friends (which is more appealing when the product is free). 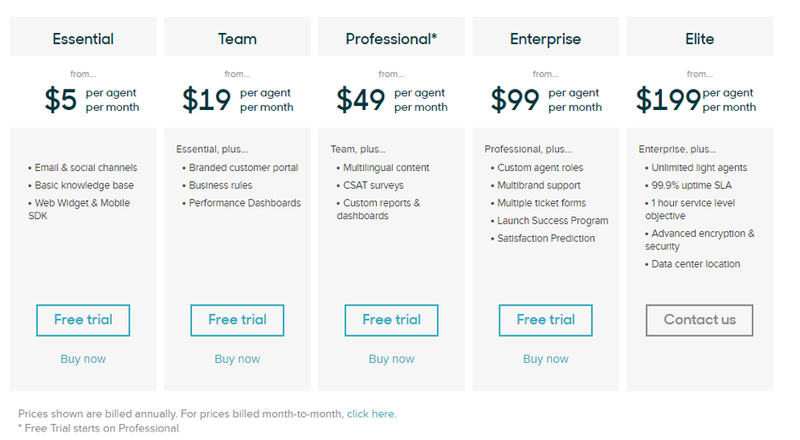 And freemium is more successful than 30-day free trials or other limited-term offers, because customers have become wary of cumbersome cancellation processes and find indefinite free access more compelling.